Australian Consumer Lawmeans the law as set out in Schedule 2 of the Competition and Consumer Act 2010. Buyermeans the purchaser of the Goods or Services from Living Beauty Fitness and includes any servants, agents, or contractors acting on behalf of the Buyer where the context permits. Conditionsmeans these terms and conditions of sale. Consumermeans a “consumer‚Äù as that term is defined in Section 3 of the Australian Consumer Law. Consumer Contractmeans a contract for supply of Goods or Services by Living Beauty Fitness to the Buyer as a Consumer. Consumer Guaranteesmeans the consumer guarantees under the Australian Consumer Law. Contractmeans a contract for the supply of Goods or Services in accordance with these Conditions, as evidenced by the acceptance of any Order from the Buyer to Living Beauty Fitness. Date of Acceptancemeans the date that Living Beauty Fitness notifies the Buyer that these Conditions apply to the supply of Goods or Services by Living Beauty Fitness to the Buyer. Goodsmeans the goods supplied by Living Beauty Fitness to the Buyer from time to time and which are the subject of an Order. Implied Termsmeans any guarantees, conditions, warranties or other terms implied by any Australian Commonwealth, State or Territory laws (excluding the Australian Consumer Law), or the laws of any other jurisdiction. Ordermeans any order for the supply of Goods or Services from Living Beauty Fitness to the Buyer from time to time in a form acceptable to Living Beauty Fitness. Servicesmeans services supplied by Living Beauty Fitness to the Buyer from time to time and which are the subject of an Order. These Conditions apply to all Goods or Services supplied by the Living Beauty Fitness as from the Effective Date and the Buyer is deemed to have read and agreed to these Conditions prior to the placing of any Order. These Conditions shall prevail over all inconsistencies in an Order, unless Living Beauty Fitness expressly agrees otherwise and that agreement is acknowledged in writing. Living Beauty Fitness reserves the right to vary, add or substitute to these Conditions from time to time and any such variations to these Conditions will have effect from the date of publication of such changes to Living Beauty Fitness”s customers. Living Beauty Fitness will endeavour to ensure that the Goods conform with the descriptions contained in literature and advertising materials. Living Beauty Fitness reserves the right to supply Goods which do not conform with descriptions referred to in clause 1 or the Buyer”s order for the Goods provided that such non conformity is not material. The Buyer waives any claim for shortage of any Goods delivered or failure to supply Goods conforming with the Order if a claim for short delivery or failure to supply Goods conforming with the Order has not been lodged with Living Beauty Fitness within seven (7) days from the date of delivery of Goods by the Buyer. Anyclaim must be submitted in writing in a form approved by Living Beauty Fitness. The delivery times made known to the Buyer are estimates only and Living Beauty Fitness is not liable for late delivery or non-delivery. The Buyer may cancel an order for Goods or Services purchased under aConsumer Contract if Living Beauty Fitness is unable to deliver the Goods or Services within 90days of any specified delivery date. late delivery or non-delivery does not vary these Conditions or relieve the Buyer from its obligations to accept and pay for Goods or Services. Goods are at the risk of the Buyer after delivery. unless otherwise agreed in writing, provide at its own cost all labour, plant, tools and equipment reasonably required for the supply of the Services. where Goods or Services are not of akind ordinarily acquired for personal, domestic or household use or consumption, then, unless Living Beauty Fitness is the manufacturer of the Goods under the Australian Consumer Law, Living Beauty Fitness”s liability for breach of aConsumer Guarantee is limited at Living Beauty Fitness”s option to repairing or replacing the Goods or Services, supplying equivalent goods or services or paying the costs of the repair or replacement of the Goods or Services or of acquiring equivalent goods or services. Where the Buyer resupplies Goods to aConsumer and the Goods are not ordinarily acquired for personal, domestic or household use or consumption, Living Beauty Fitness”s liability to the Buyer in connection with any breach of aConsumer Guarantee in respect of the Goods is limited to paying to the Buyer an amount equal to the cost of replacing the Goods, supplying equivalent goods or services or having the Goods repaired, whichever is the lower amount. This clause 7 does not limit the liability of Living Beauty Fitness under Consumer Contracts. Living Beauty Fitness shall not be liable for any guarantee, warranty or representation as to the quality, performance, and fitness for purpose or otherwise of any Goods or Services unless expressed in writing and any such warranty or representation shall be limited to its express terms. Living Beauty Fitness”s liability for breach of any provision of any such Contract or for breach of any Implied Terms which by force of law cannot be excluded from applying to any such Contract is limited at the option of Living Beauty Fitness to repairing or re-supplying Goods or Services which have been found defective, or, paying the cost of repairing or re-supplying Goods or Services which have been found defective. Living Beauty Fitness is not liable in tort for any loss or damages suffered by the Buyer or by any third party. In no circumstance whatsoever shall Living Beauty Fitness be liable to the Buyer or to any third party for any loss of data or profits, loss of anticipated savings, economic loss or interruption of business or for any indirect or consequential loss (“Consequential Loss‚Äù) arising out of the late delivery of Goods or Services or any failure to perform or observe Living Beauty Fitness”s obligations under any Contract or Implied Terms and the Buyer will keep Living Beauty Fitness fully indemnified against any claim made against Living Beauty Fitness by a third party for any such Consequential Loss. 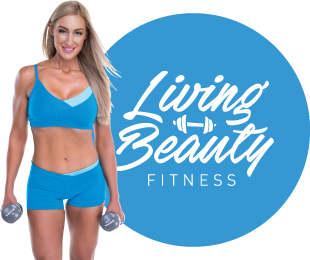 All amounts payable to Living Beauty Fitness by the Buyer must be paid in Australian dollars in any manner required by Living Beauty Fitness in writing and in full without set-off on or before the due date for payment. Any costs or charges incurred by Living Beauty Fitness in collecting or attempting to collect overdue amounts must be paid by the Buyer to Living Beauty Fitness on demand. Living Beauty Fitness reserves the right to charge interest at the rate of 12% per annum on all overdue amounts owing to it. Such interest will accrue daily and is payable on demand. Payment will not be taken to occur until all cheques tendered in discharge of amounts owing to Living Beauty Fitness have been presented and cleared in full. Living Beauty Fitness reserves the right to charge the Buyer a reasonable administration fee for issuing duplicate invoices, statements or other documents requested by the Buyer. Subject to the law, title to and property in the Goods will not pass until the Buyer has paid all moneys owed to Living Beauty Fitness on any account whatsoever. Living Beauty Fitness is not under any duty to accept Goods returned by the Buyer and will do so only on terms to be agreed in writing in each individual case. Nothing in clause 12.1 affects the Buyer”s rights under the Australian Consumer Law or in respect of any breach of Implied Terms. provide certificates of currency in respect of the above insurance when reasonably requested by the Buyer. Living Beauty Fitness may cancel any Contract any time before Goods or Services are delivered by giving written notice to the Buyer. On giving such notice, Living Beauty Fitness will repay to the Buyer any sums paid in respect of the Goods or Services. Living Beauty Fitness will not have any other liability in respect of such cancellation. Subject to clause 4.2, the Buyer may not cancel aContract at any time except with Living Beauty Fitness”s prior written consent. if payment is not already made in full, the Buyer will be responsible for any losses incurred by Living Beauty Fitness in respect of such cancellation (including loss of profits, loss of anticipated savings, economic loss or interruption of business loss or other incidental, consequential or indirect damages). In the event the Buyer cancels a Contract under clause 4.2, Living Beauty Fitness will repay to the Buyer any sums paid in respect of the Goods or Services. Living Beauty Fitness will not have any other liability in respect of such cancellation. If the Buyer makes a default in any payment due to Living Beauty Fitness for any Goods or Services supplied by Living Beauty Fitness, commits any act of bankruptcy or enters into liquidation whether voluntary or involuntary, Living Beauty Fitness may in its absolute discretion, suspend supply of any Goods or Services to the Buyer or cancel any Contract with the Buyer, without prejudice to its rights hereunder. Any default by the Buyer or cancellation, suspension or termination by Living Beauty Fitness shall in no way prejudice any rights of Living Beauty Fitness against the Buyer whatsoever, including any right to recover any amounts due for Goods or Services, or Goods or Services previously supplied by Living Beauty Fitness to the Buyer. This Contract is made in the South Australia. The Buyer and Living Beauty Fitness agree that unless otherwise stipulated by Living Beauty Fitness all disputes arising between them shall be submitted to the courts of South Australia and any court competent to hear appeals from those courts of first instance. A Contract may be altered in writing signed by each party. Unless otherwise provided, a party may in its discretion give (conditionally or unconditionally) or withhold any approval or consent under a Contract. A party must not assign or otherwise deal with a Contract or any right under it without the written consent of the other party. A Contract constitutes the entire agreement between the parties about its subject matter and supersedes any prior understanding, agreement, condition, warranty, indemnity or representation about its subject matter. A waiver of a provision of or right under a Contract must be in writing signed by the party giving the waiver and is effective only to the extent set out in the written waiver. The failure, delay, relaxation or indulgence by a party in exercising a power or right under a Contract is not a waiver of that power or right. An exercise of a power or right under a Contract does not preclude a further exercise of it or the exercise of another right or power. Each indemnity, obligation of confidence and other term capable of taking effect after the expiration or termination of a Contract, remains in force after the expiration or termination of the Contract. the meaning of general words is not limited by specific examples introduced by ‘including”, ‘forexample” or similar expressions.